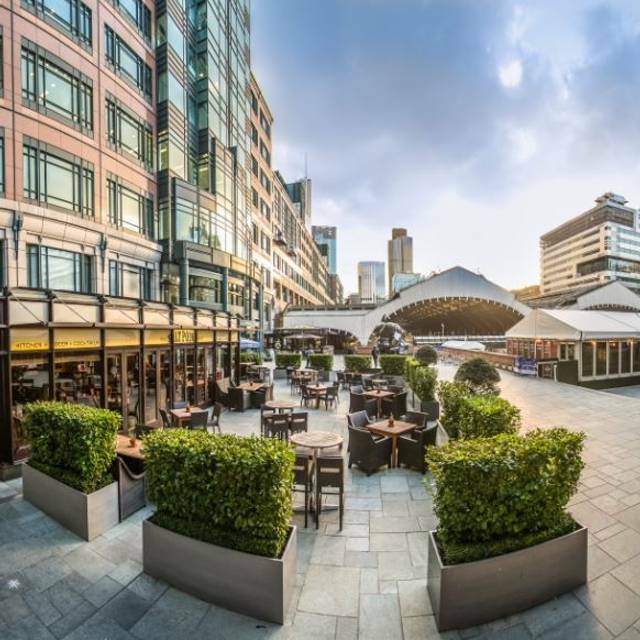 The Salt Point bar and kitchen is in a prime location just behind Liverpool Street Station with a huge outdoor terrace overlooking Exchange Square. 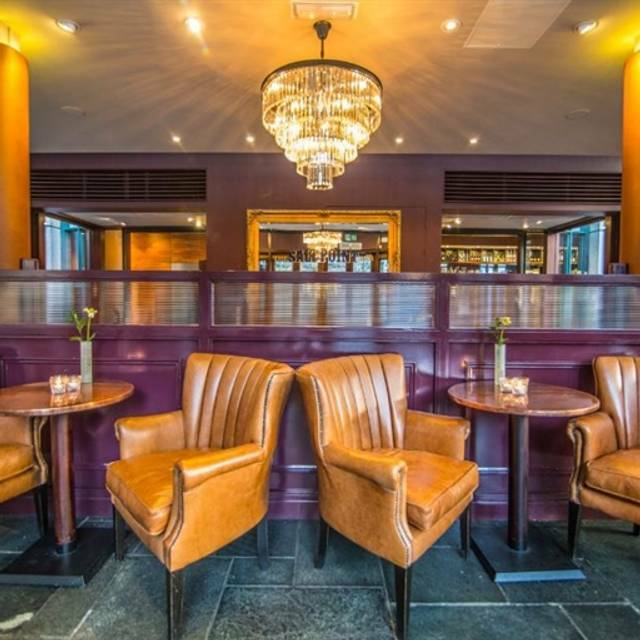 Big comfy leather chairs and vast outside seating make this the perfect spot for small gatherings or large parties. 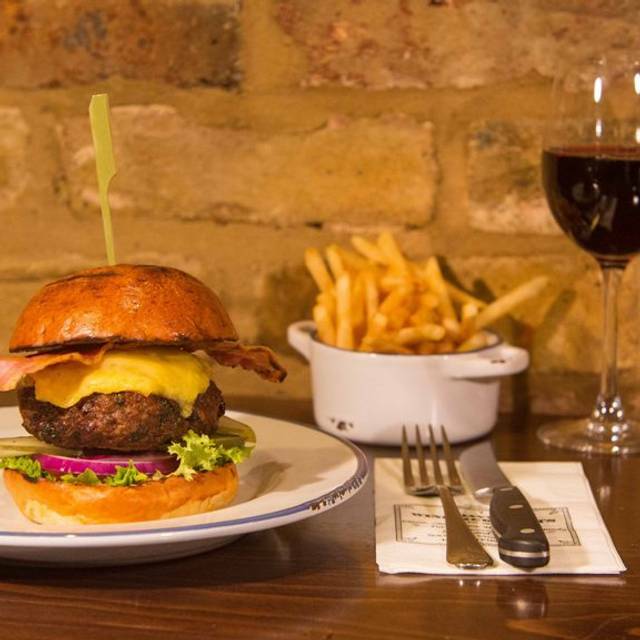 Perfectly cooked steaks and burgers sit amongst other classic Brit favourites; salads, sandwiches and sharing platters, all using the best quality ingredients. 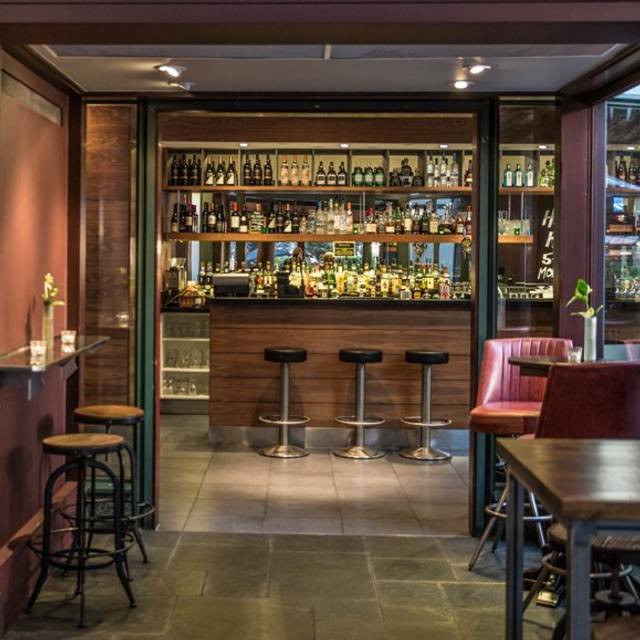 A comprehensive drinks list includes craft beers, premium spirits and a range of wines from Davy’s wine merchants. Enjoy happy hour between 5-7pm with Corona and Prosecco at special prices. Booking hadn't come thru, but staff quickly organised alternative seating; eating options however very limited due to instant closure for a longer period directy afterwards. We had dinner. The staff was exceptionnally friendly and helpful with me, my friend and his blindperson guide dog. A very nice place close to Liverpool St station, only recommendation is that, when the weather is hot and sunny perhaps they could have a few umbrellas to provide some shade when sitting outside. This place is good, as a result it gets busy. Don’t expect a quiet evening. Very enjoyable if you like lively. 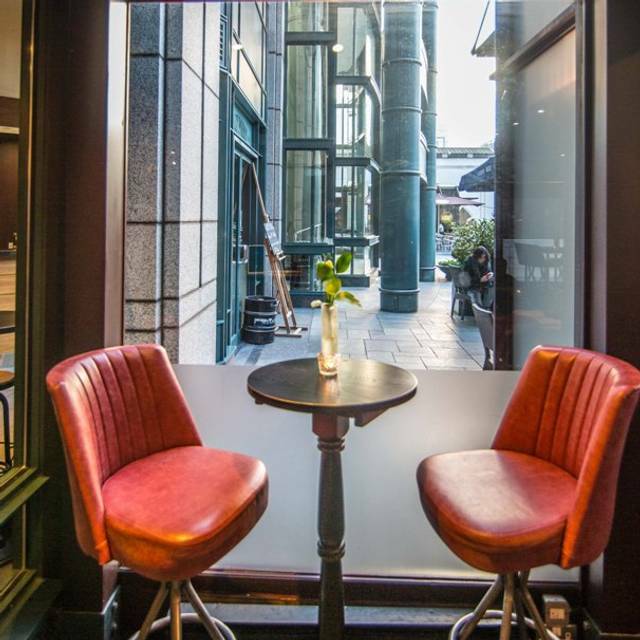 Great location, tucked away in Liverpool Street. Lively bar scene, with a great outdoor area. There was an initial mix up with the booking as Open Table was listing table availability that did not match with actual availability at the venue; I would recommend calling ahead to confirm your OT booking with the restaurant itself to avoid confusion. The staff were extremely helpful and friendly despite this, working to accommodate our booking request anyway. We received prompt service throughout the evening, despite how busy it was on the Bank Holiday. Food and drinks were great quality at a fair price. Would recommend and would return. It was disappointing that there were a number of items on the menu that were not available. Cosy and comfortable, like all Davy's pub/restaurants. Excellent small plates - perfect as we didn't fancy a full meal. Sharing platters had a good variety. Great location - very convenient for Liverpool Street arrival. Booked a table online, walked with suitcases only to find that the online booking system was wrong and no food being served at 9pm that evening. Very disappointed. Slow service and poor food, this restaurant has gone down heill since it changed Managers and Name. Food quality was poor and bland. As always, the food, team and ambiance are great for breakfast. Space enough for a confidential conversation. I have breakfast here often and consistently the staff, food and atmosphere are good. Will go back. I always have an excellent breakfast here - cannot fault it and the eggs are great. On arriving at The Steak Exchange, I was surprised to see that the business had been sold and this was now a Davy's Winebar. 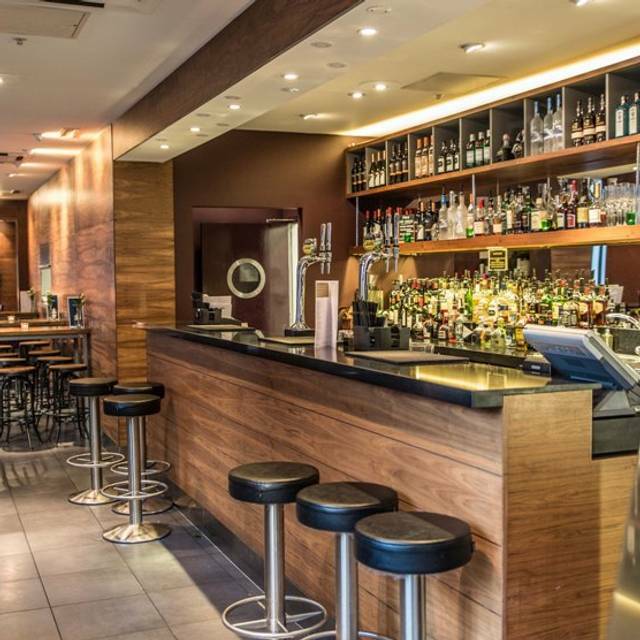 The staff were extremely helpful and explained the business had changed over a few weeks' earlier but could offer nothing but Bar Snacks. Amazingly, when I was looking for an alternative restaurant nearby, I found that Open Table were still offering bookings for "The Steak Exchange" at the same address even for that night! I don't think I will risk making any further bookings through Open Table until your systems are improved. You had even sent me a confirmation e-mail stating that my booking had been accepted. Not professional. Good honest steak and nice friendly service - would definitely go back. Have been to this restauarant several times before, and using the 2 for 1 offer on food , the bill is fairy reasonable. Restaurant was fairly quiet - as it was a wet Thursday night, and we had booked an early sitting, due to train problems at Liv St.
Quality of steak was superb - we had chateubraind between us. You do need to order a few sides, as portions are not that big. Another visit to steak exchange for a group booking and another set of happy diners. Been here numerous times for our monthly steak Night and the sharing steaks always go down really well. I shared the bone in rib of beef and it was excellent. Shall be visiting again soon. We visited on a 2 for 1 deal and enjoyed our meal. However we felt that the food would have been overpriced at full price.